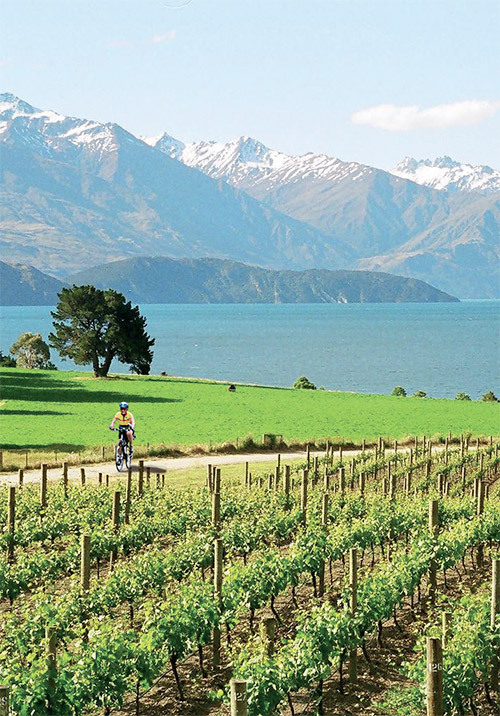 For over 30 years, Pedaltours has designed and operated bike tours, offering a comprehensive range of fabulous guided cycling tours in New Zealand, the South Pacific, Asia and Europe. The Pedaltours team is dedicated to bringing you the cycling holiday of a lifetime. Pedaltours is an experienced and trusted bike tour operator and offers only the very best of everything. All tour routes are thoroughly scouted and high-quality lodges and restaurants carefully selected to meet the needs of the cycle tourist. Many who have travelled with Pedaltours over the years return time and again to cycle another stunning corner of the world. Local tour guides add an extra personal touch with their extensive knowledge of each area, the flora, the fauna and the outdoors. If you enjoy an active lifestyle and the outdoors, then these holidays are for you. Catering for all levels, from casual to advanced, everyone cycles as much as they wish each day with the option of the comfort of the back-up vehicle at any time. The trailers take everyone’s cycles, luggage and spares. Choose from a wide range of tours within each country of destination, depending on your interests. Activity is not limited only to biking; enjoy hiking, kayaking, sailing and bungee jumping, too, if you like! In addition to scheduled tours, Pedaltours runs custom tours in New Zealand, Australia, Vietnam, India, the Czech Republic and Croatia. On custom-designed tours, you can choose your style of accommodation from budget to 5 star. On regular tours, accommodation is in comfortable 3 - 4 star hotels and lodges. Three good meals a day are included in every package price – essential for active travellers! With a support van that you are free to use as often as you like, an experienced guide and cycle mechanic, a choice of routes from moderate to challenging, you're all set to go! “From start to finish fantastic service. Booking process was easy. Questions were quickly and precisely answered by the Pedaltours staff. Our guide was just the best. Can’t say enough about our trip. Great scenery, food, accommodations, and equipment totally exceeded our expectations. Pedaltours is absolutely the best for a memorable bike trip.” – Clark, USA. People who ordered Australia Guided Cycling Holidays also ordered the free travel brochures below. Click on the images to find out more about these brochures.